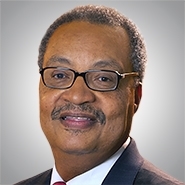 MILWAUKEE, Wis. — The national law firm of Quarles & Brady LLP today announced that Chairman Emeritus John W. Daniels, Jr. received the Time Warner Cable Unity Award on December 9 at the Milwaukee Urban League's 56th Annual Equal Opportunity Day Luncheon. Daniels received the award in recognition of his years of leadership and advocacy, and the positive impact he has made on the Milwaukee community. Daniels is a member of the firm's Real Estate Practice Group, and is a strategic advisor to many of firm's largest clients. During his tenure as chairman of Quarles & Brady, he grew the firm during the worst economy since the Great Depression, expanding its ranks of attorneys and adding new locations and national practice specialties. He is a champion of diversity and inclusion, and a much sought-after thought leader on multiple topics. Over the course of his storied career, Daniels has made significant contributions to the legal professional on the local and national level, as well as the Milwaukee community. He is a past national president of the American College of Real Estate Lawyers, currently sits on the board of directors of Chicago United, is chairman of the board of Aurora Health Care, and is a former board chair of the Greater Milwaukee Committee. Daniels also is the founder and host of the annual Fellowship Open Golf Tournament, whose principal objective is to work with and support organizations that have a meaningful and demonstrable difference in the lives of youngsters. Over the last 15 years, the Fellowship Open has donated more than $1 million to 70 local organizations serving Milwaukee's youth. In 2011, Daniels helped established MKE Fellows, an extension of the Fellowship Open that provides career development activities for local African-American students at Atlanta's Morehouse College and other historically black colleges around the country. The Milwaukee Urban League's mission is to provide essential services and strong results-oriented programming to those who share with all of us a desire to be productive, contributing members of the community. A dedicated team of staff, volunteers, sponsors, and the Board open doors to information, skill development and other support to help African-Americans achieve their full potential and participate in the social mainstream, to secure economic self-sufficiency, parity and power, and civil rights. Learn more at www.tmul.org.